The 7th battalion is located on the southwest side of Detroit. All box alarms of fire are serviced by Squad 4 from the 5th Battalion. I can tell you from personal experience they were always welcomed at a fire. Some of the best Firefighters in the city ride Squad 4. If you stretched a hose line into the seat of a fire you could be sure that you would soon be joined by a member from the Squad. I recently received the bad news that one of the retired members of that illustrious fire unit was ailing. His name is Joe Krolik. Joe was one of the best Firefighters to ever ride what we used to call the Polish Squad. Time is not on Joe’s side, so those who know him make sure to call or send a card. Joe’s whole life was about service. He was in World War II and when he came home he joined the Detroit Fire department. He was a great running mate and when he was assigned to Squad 4 his golden years began. His reputation grew as his skills as a Firefighter expanded. If ever there was a model for a professional firefighter, it would be Joe Krolik. 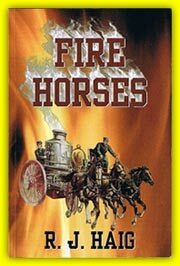 I recently authored a book about Firefighters. The story line embodies the heart and spirit of all Firefighters. One of the characters was modeled after a man like Joe. My heart is saddened that Joe is starting on the last part of his life. I want him to know he made his mark. Young Firefighters just starting their careers would be well advised to follow Joe’s example. He was a gallant warrior, a fun guy, and an outstanding leader of men. My life is better for having known Joe Krolik. Many Firefighters have followed Joe to the gates of hell while fighting fires. Hopefully we can follow him to the gates of heaven when our names appear on that ultimate transfer list. I know if the man at the gate is slow in opening it up that Joe will pop it open for us with his Halligan bar. Thanks for everything Joe.